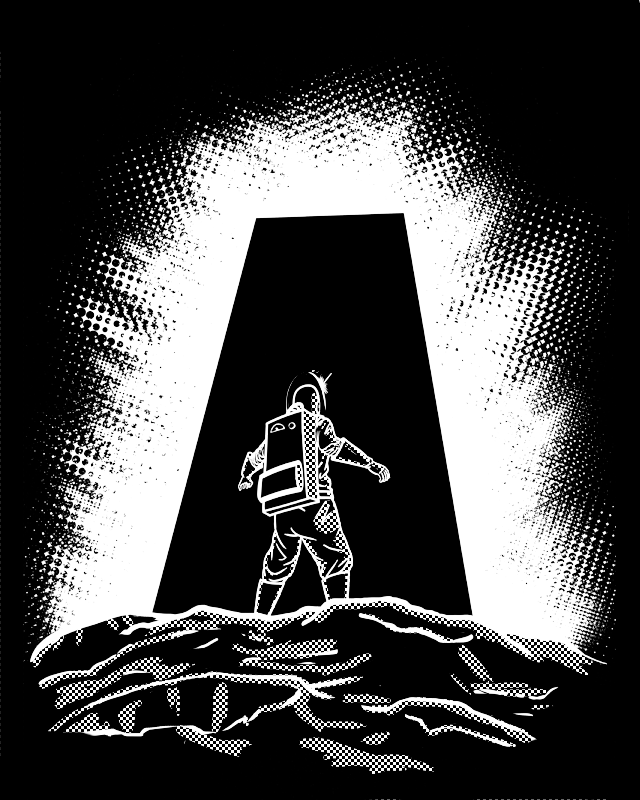 First off is a recent t-shirt design I'm going to attempt to get up on Threadless. It's still in the refining and critiquing stage so feel free to provide some thoughts either in the comment section or on the Threadless critique page for it. 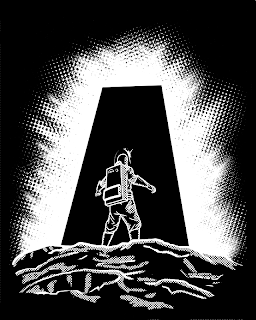 It's based on my Monolith sketchcard I had done and I'm kind of liking the direction it's taking. Second, a quick Spider-Man illustration I did when I was fooling around with coloring techniques. Finally, Nathan Wesley Johnson is getting some short stories written and I'm on to do illustrations for those. 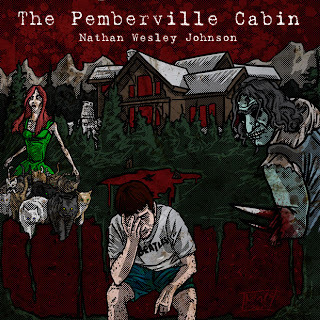 First off is something for "The Pemberville Cabin." For those of you who have read House of Mystery it reminded me of that structure, and it was indeed an enjoyable read. Now, onto comic reviews. I'm going to say you're out of luck for everything pre-June 1st, but that's just how this'll have to work. Much like DC Comics seems to be doing, I'm starting clean. Amazing Spider-Man #663 - 3/5 - After starting off with the great issue exploring the concept of death in comics, this is the closest title to just being dropped. All these team-up issues aren't giving me anything worthwhile and it's starting to cross into Spider-Man fan fiction instead of great Spider-Man writing. I'm staying on until the Spider Island arc since it's a big event and might get it moving again, but who knows. Also, who really enjoys Anti-Venom...Like, seriously. Flashpoint #2 (of 6) - 3/5 - Yet another series I'm staying with since it's a big event, moreso since it's apparently big enough to reboot the entire DC Universe. Maybe if I had read Flash's ongoing up to this point it'd be hitting me better, but for what it is, this has been lackluster besides a few "neat" trinkets like Captain Cold being good and whatnot. Those that have kept with me will know that I absolutely love what Jonathan Hickman has been doing with S.H.I.E.L.D. After a slight break I may have hyped this issue up too much or something similar but it hit me about the same as the Infinity one-shot. Which isn't necessarily a bad thing, but I'm hoping it gets to more "I don't know what it was but it was awesome" issues like I'm used to. The Immortal Iron Fist - 3/5 - With the various writers throughout the series there were some good parts and some bad like one would expect. The story is told through mostly caption which creates a presentation I'm unused to and some of the stories are hit and miss, but for those interested, it reads like a fun kung-fu movie. Spider-Man: Kraven's Last Hunt - 4/5 - Finally got around to finishing this, and while I had a large break inbetween readings it was a good story to tell for Spider-Man. 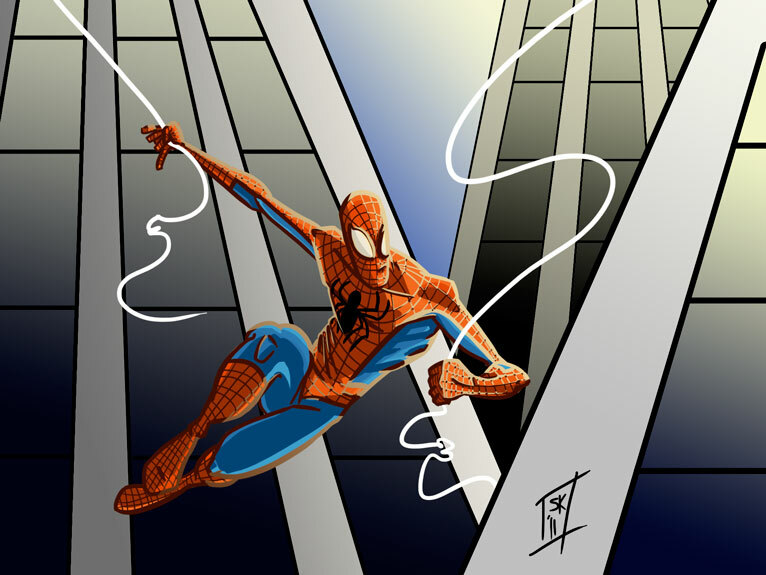 The concepts brought up by J. M. DeMatteis were thoroughly interesting and the revelation for all the characters therein were well thought out and fitting. Neonomicon - 2/5 - This was practically forced this on me, and while it is Alan Moore, this story is hard to read. I've never read Lost Girls so I'm unsure what he's capable of but this is...unsettling. The payoff was a rather interesting concept and brought it up from a 1/5 to a 2/5, but the journey there was far too long and horrific. I've brought this up before while I was reading the series but I finally finished it after a long break. It was an incredibly good read. Regardless if you are familiar with Tezuka's original Astro Boy series or not, I would recommend this greatly. Being manga it's a fairly quick read through eight volumes but the characters are all fun and it's an interesting mystery and development. First off, the huge news of DC Comics' massive relaunch, which I'm sure you've read everywhere on the net by now if you're interested. This is tricky. I was optimistic at first. If it brings in new readers, then good for them. The problem is that in trying to gain new readers DC is almost entirely closing out longtime readers. Now, I don't want to sound stuck up and entitled but try being someone who has stayed with the majority of Action Comics' 900 issues. Now that it will go back to #1 what happens to all of that story. I guess we'll find out, but the creative team behind the relaunch of Geoff Johns and Jim Lee aren't getting my hopes up. I view Jim Lee as a more talented Rob Liefeld and, while I don't have a big impression on Geoff Johns, the one I do have is that most of his series get to stay unaffected by the relaunch, while other writers are completely unsure of what will happen to the stories they're writing now. As I read online, "On the one hand, there's never been a better time to start reading DC. On the other hand, there's never been a better time to quit reading DC." There are some books coming out after the relaunch that I'm interested in and will almost certainly buy, but this is just a huge risk that I'm unsure if it's needed. Even the timing is off for what they want to do. I don't know, it's hard to really figure how this will pan out. Secondly, Doctor Who's Series 6 Part 1 ending was really entertaining. I was surprised by how much Steven Moffat actually wrapped up. The big reveal was done well and the episode was entertaining through and through. Too bad I have to wait months until the next one, but if this series keeps up what it's been doing, it should be good all around. Anyways, check back Sunday for more and it should hopefully be there. I should be able to comment on Super 8, the 2011 Stanley Cup Finals, and the one issue of Deadpool on my pull list. And hopefully my t-shirt design goes somewhere in that time and I'll be pestering everyone for votes. Until then, godspeed.